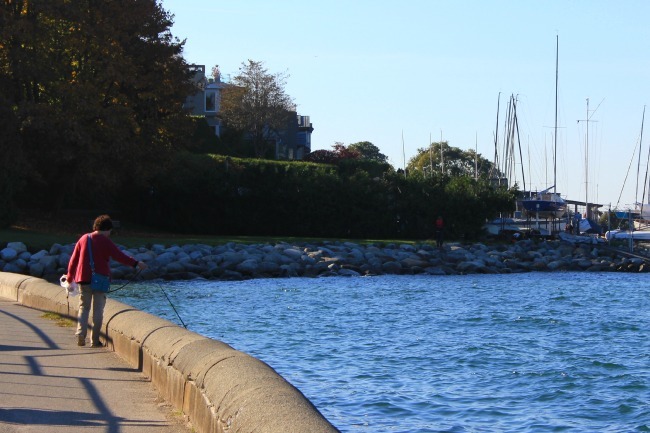 On a mid-October day, it was a lovely day for walking, sitting, cycling but there was also plenty of people sailing, stand up paddling and if you’re part of the younger set, playing on the water’s edge like it was the middle of summer, by jumping in the small waves. 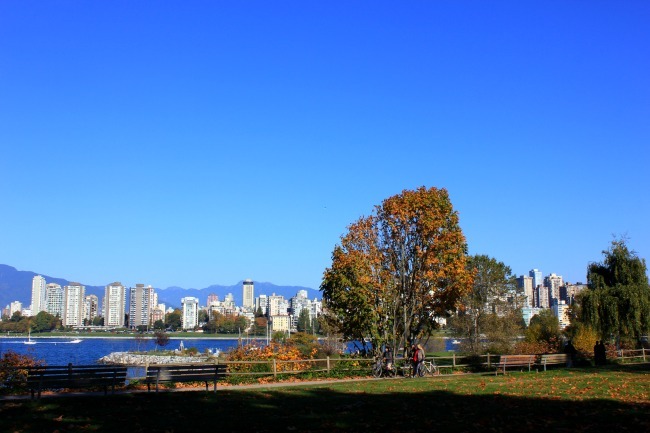 It was what you do on a sunny day in Vancouver – you go outside and revel in it. And as I gazed across the bay to the west end, I spotted many cyclists who had stopped to walk with friends – and take time to look at the autumn leaves too. Everyone was enjoying the sun, the cool breezes and the views of the sea. 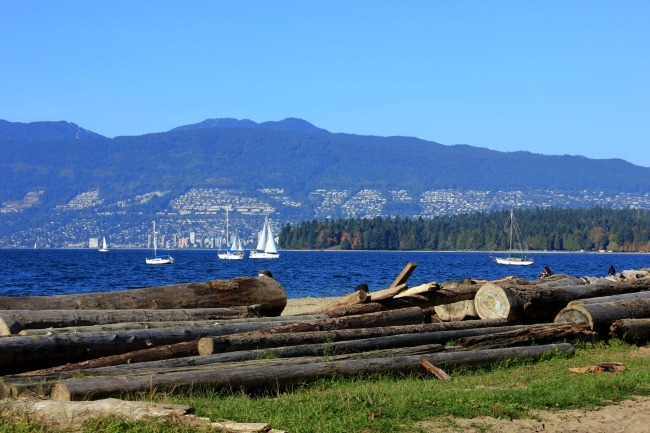 It was a stereotypically Vancouver moment, and I was glad I was there, having my dose of the Pacific and west coast sensibility.